This chapter is going to be very important for you. If you study this chapter deeply, then you will be able to understand all the mechanism of Model just in one chapter. So, I recommend you to study carefully this chapter with full concentration. I have opened my existing project CompShop for adding a model. 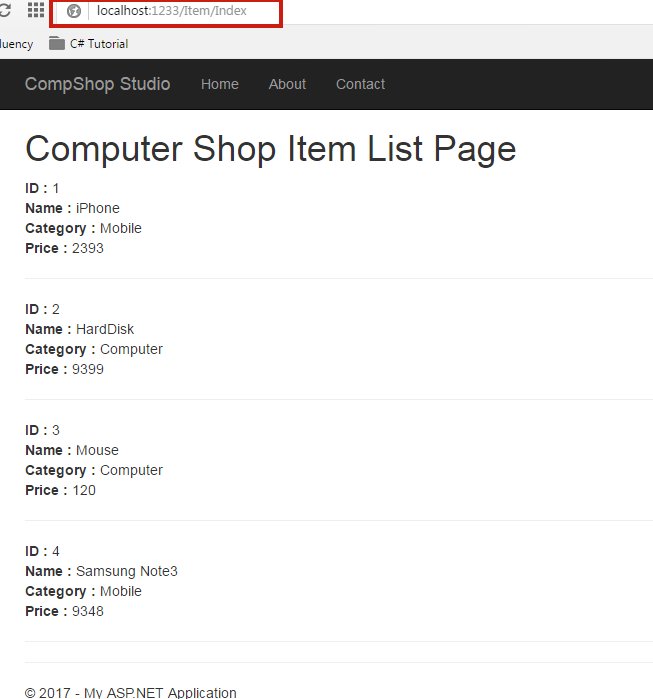 If you haven't created CompShop application earlier, then don’t worry and create a new MVC 5 Project with your preferred name. 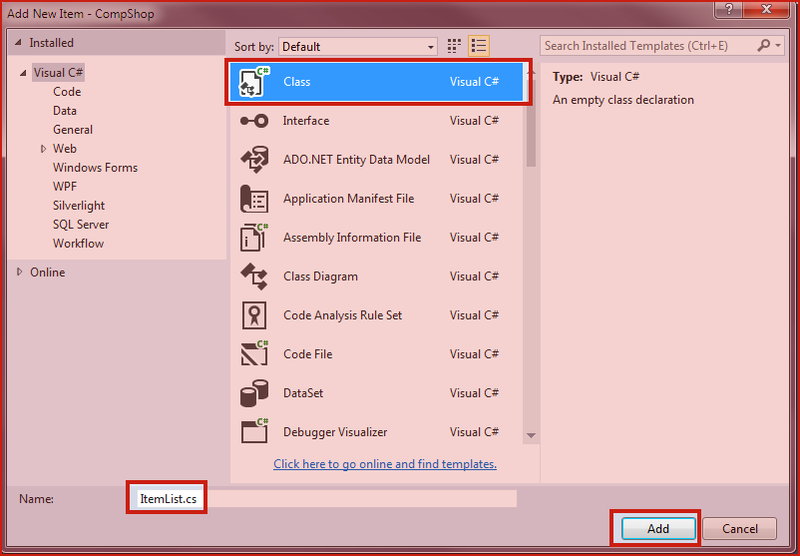 Step 2: Create a New class ItemList.cs and click on Add button. Step 3: Add the following code in ItemList.cs class. Class name ItemList will be your table name in the database. Each member of this class like ID, Name, Category, and Price will be mapped with Table Column with the same name. The datatype of this property will be the datatype of the column in the table. Now, you must be thinking that where is a database and where is connection string? Your answer is in the next chapter. Here, I am using the simple model class without database and entity framework. My motive is to teach you everything but step by step. In the next chapter you will surely learn Database part and Entity Framework but here only focus on how models work. 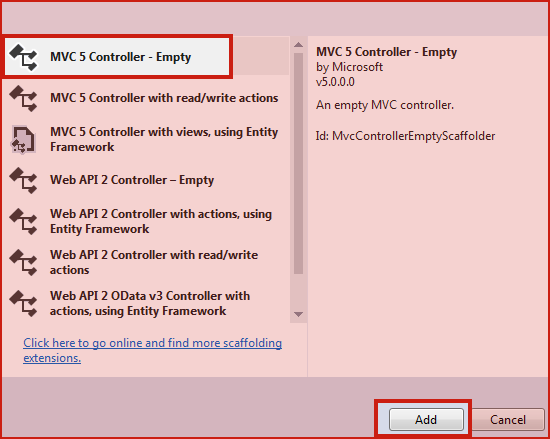 Step 5: Select MVC 5 Controller – Empty and click Add button. Step 6. Now open ItemController.cs and add the following code. Let’s take a moment to understand this code. Here, in this code, I have hardcoded the data so that this data can be used in views. Because I am not using the database here so I have added the data manually to models. 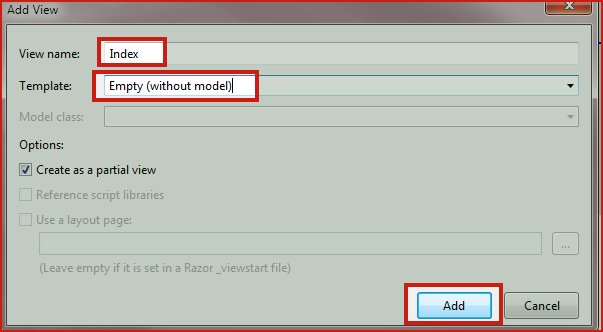 Step 7: Now, right click on Index() Action method and click on Add view. Give View Name: Index and click on Add button. Step 8: Now, Open Index.cshtml page from Item folder and add the following code in it. 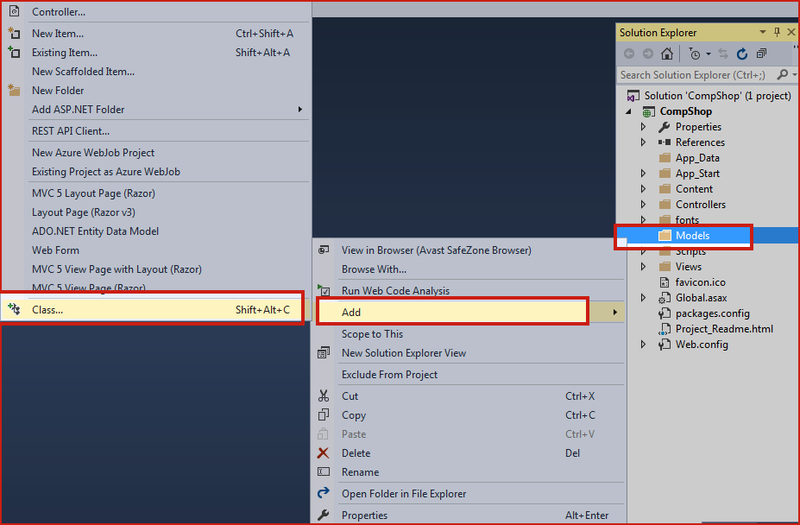 In this chapter, you learned how to add model and access model data in view pages. In the next chapter, we will discuss more clearly about Models and will show you an example of the database. We will create a database, tables and add some data to it then will access these data using models. 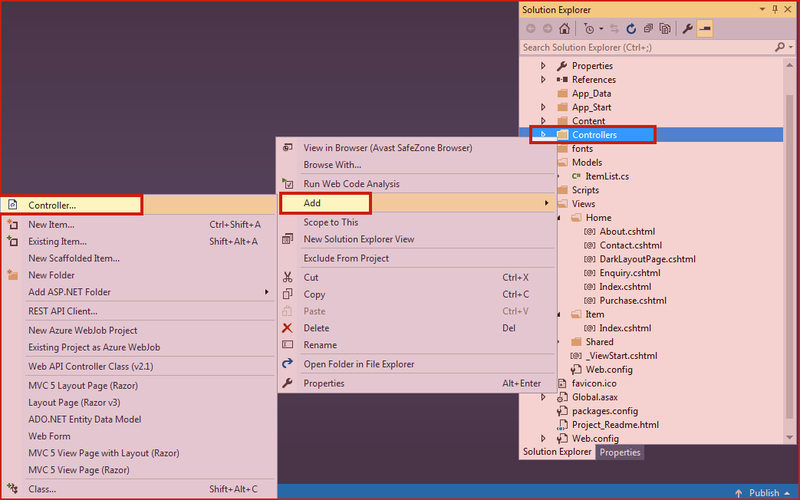 So, don’t skip the next chapter How to Access Data using Models from Database asp.net mvc5.